Top Gun Union, a PSP division 1 team, is rumored to be picking up Brandon Mayo and Willie Fernandez. Both players at one time or another have played with St. Louis Avalanche. Greg Sewiers has reportedly left Infamous. Sources say he has been in talks with the Ironmen. Jeff Stein, owner of the New England Hurricanes is rumored to be turning over the reigns to the team. Alfred De Los Santos has left the Hurricanes and re-joined his friends from Long Island. Alfred will play the 2012 season on LIFT in PSP division 1. Hollywood HK, an NPPL division 1 team, is rumored to be playing pro in the NPPL 2012 season. Miami Devious is rumored to be in talks with several former Miami Rage players. 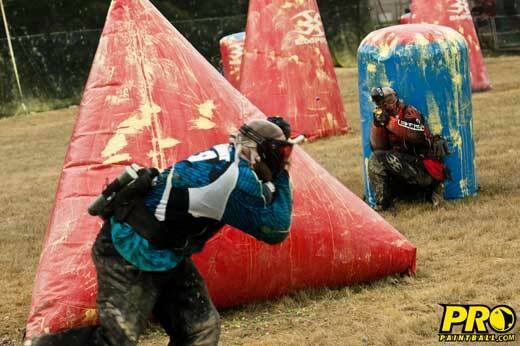 According to ProPaintball insiders, the team is looking to secure a spot in the 2012 NPPL pro series. Former Joy Division and Russian Legion Pro player Alex Lundquist is rumored to be returning to the States to play the PSP 2012 season with a DYE team. No word on if his brother Max will be joining him on the field. Tyler Harmon of Oakland BLAST is rumored to be in talks with Sacramento XSV. Oakland BLAST is rumored to be either rebuilding the team or taking the 2012 season off. Paintball legends Bob Long and Zack Long are said to be refocusing on Bob Long Direct and keeping up with growing demand for the G6R paintball gun. This rumor report raises a ton of questions. Who will take over the Hurricanes? Will BLAST compete in 2012? What team is Lundquist playing with? Share your thoughts in the comments below!